DomainTools.com is a premium service for all things domain related. Having a membership to DomainTools.com is a must for any serious domain name entrepreneur or developer. The scope of domain services provided by DomainTools.com is impressive. The site provides information and how-to’s for buying, selling, researching, planning, branding, building and investigating domain names and their respective websites. Domain names can also be purchased from the sister site Cheap-Registrar.com where additional services include registration, hosting, SSL certification, marketing, email management, and Web site build outs. A designer or developer will find helpful tools at DomainTools.com. Here are a few examples. A screen shot history can be obtained showing what previous websites looked like for a given domain name. This would give a designer context for the previous looks and branding. The brand monitor and domain monitoring services enable anyone to keep tabs on new domains that threaten existing ones as well as provide status updates, expiration dates, and other relevant domain changes. Developer API information is easy to locate and use on the site. Two membership options allow professionals and novices alike to benefit from the detailed services of DomainTools.com. Let’s make a brief comparison between the Enterprise and the Professional Account. In short, the Enterprise option provides unlimited access to all DomainTools.com services, including their APIs’, monitoring, Historical Lookups and Research Tools while the Professional option, is more limited. For example, the domain monitor service which provides updates to domain status changes, allows for 10,000 domains to be monitored within the Enterprise option while only 100 with the Professional option. The Whois feature provides domain investors the ability to obtain domain history while allowing brand agents to be alerted to issues related to trademark infringement. A reverse search using an email address can attach names and email addresses to their respective owners, companies, and web sites. This feature alone is worth buying the Professional Membership. Significantly, a beginner can open a Novice Account and purchase many of the stand alone services as add-ons. This allows a new user to pick and choose the specific services needed without buying the entire service up front. A la Carte is the way of technology in the 21st Century and DomainTools.com does not disappoint. Speaking of beginners, DomainTools.com nails the basics for any beginner. A newbie can research the history of any domain, determine the availability of domain name options, buy an available domain name, find the owner of existing domains, and dozens of other services. The web site describes what information is needed to find and purchase a domain name while offering research tools and advice that gives confidence to the purchaser that a good decision has been made. The pricing options are clearly delineated in an easy to read chart for the beginner who wants to investigate any of the add-on features. DomainTools has not limited themselves to just providing simple information to Domain Investors and Entrepreneurs they have also grown into the following area of Cybercrime investigations. They are truly helping he online world stay on top of all legal aspects which are tantamount in protecting yourself and your business online. 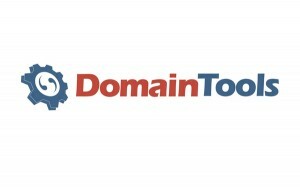 DomainTools.com, has been prospering their business in recent years, becoming an independently-held company with a new building and a fresh design that has enabled their online brand to evolve into a successful platform. If you are not using DomainTools.com in your online business , you are doing yourself a disservice.